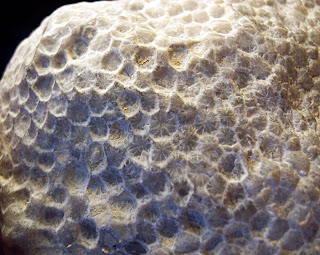 Here is a closeup of a Foerstephyllum colonial coral fossil for the Upper Ordovician Period. It was found in Louisville, Kentucky. 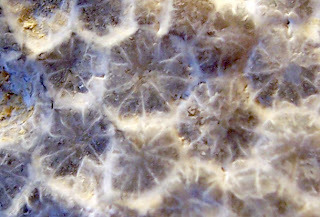 Notice the septa lines in individual coral cells. 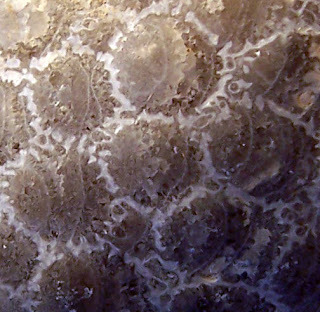 These Kentucky fossils are quite beautiful and it is very nice when you can find them with exposed septa. 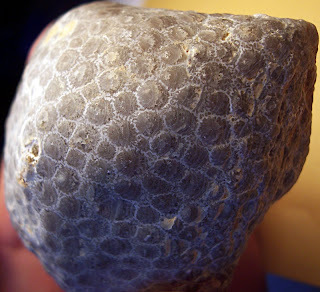 These next two pictures are of another Upper Ordovician Period colonial coral fossil found with the previous fossil. Its cell walls are in a different pattern.